It's been a dreary gray day today, which makes it a perfect day to craft. 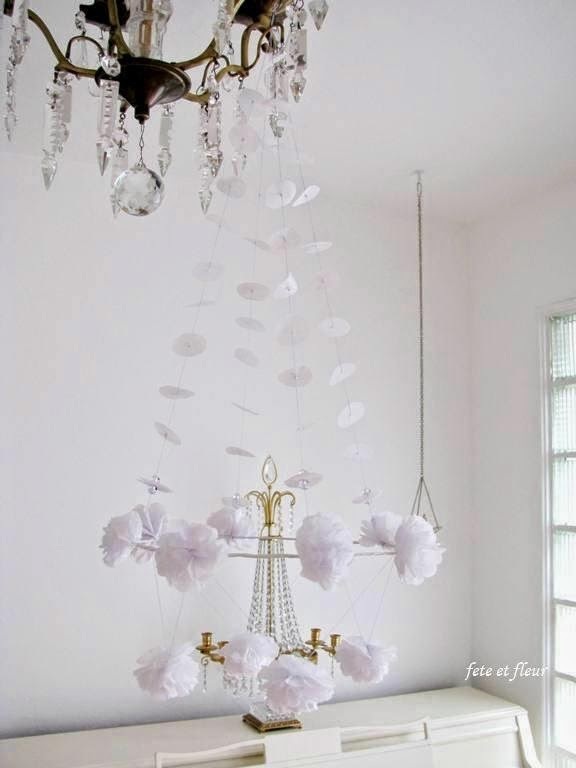 I have always wanted to make one of these pajaki paper chandeliers. I got to work making a mini pajaki and it took me only a couple of hours. 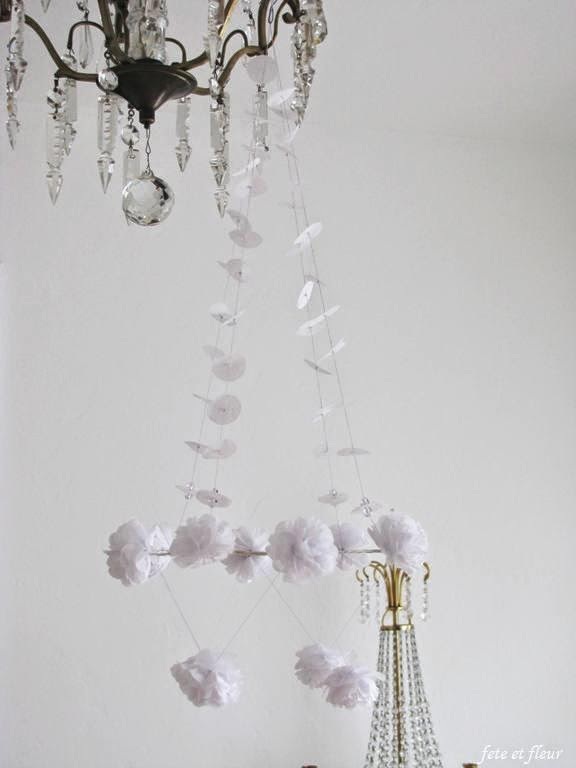 You can find DIY tutorials: A Beautiful Mess, Fine & Feathered, and Zakka Life for the mini flowers. 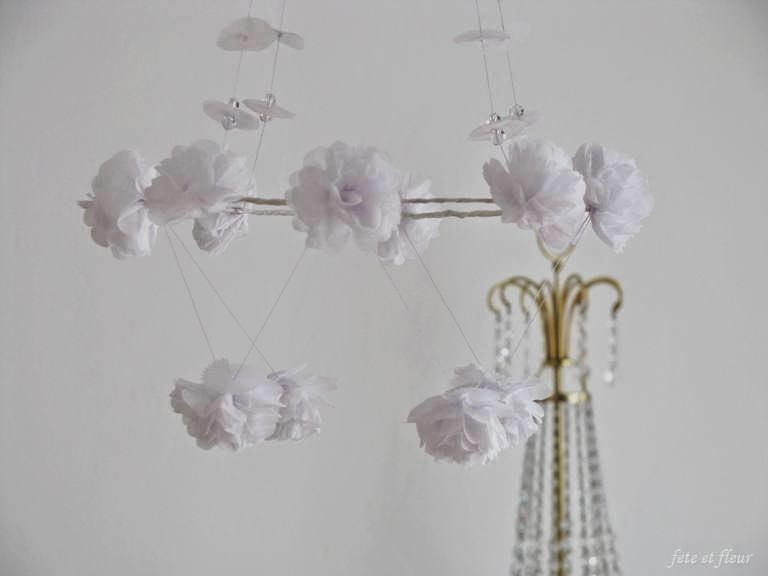 I sort of mixed a bunch of the tutorials together and I didn't use straw to separate the petal pieces, instead I used threaded beads and then placed the disk of tissue paper over that. 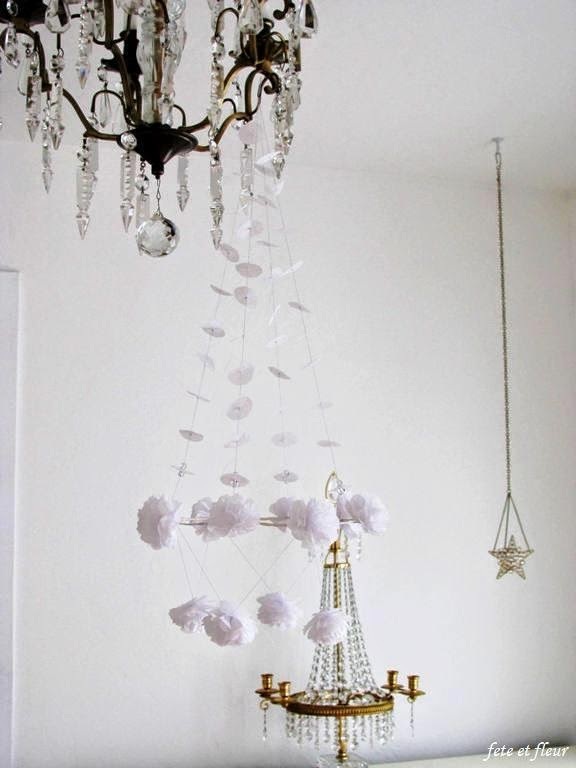 2. jewelry wire formed into a circle and covered with white floral tape. I wish my photos were clearer, but this was the best I could do. If you decide to make one, I would love to see it. Have fun! A cactus flower in bloom. Pretty amazing isn't it? I couldn't believe it the first year our neighbor's prickly cactus plant bloomed. I had never seen a cactus plant flower like this before. The photos don't do it justice. Pink roses from our garden. This climbing roses is called Pink Dawn. It reminds me of something from Pierre-Joseph Redouté's illustrated roses.